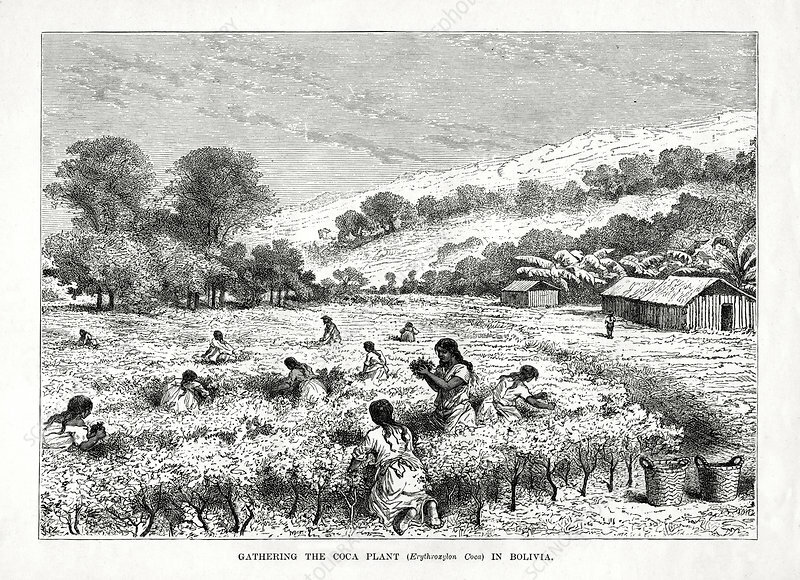 Gathering the Coca Plant (Erythroxylum coca) in Bolivia', 1877. Coca grows on mountain slopes in South America. Chewing the leaves mixed with lime acts with saliva to release the drug cocaine, a stimulant and appetite suppressant.